It started in 1970 in the United States when truck enthusiasts decided to develop a truck based on their regular pick up truck but only a bigger one. Pick up trucks were becoming very popular at this time and also the idea of having real time sports that involved dirt tracks and lot of mud appeased many. Many truck owners were involved in enhancing their trucks to a bigger size and this resulted in a competition were people had to build the biggest truck. At that time the truck that became extremely popular and an unforgettable name in the monster truck industry was bob Chandler’s Big foot and along with it another truck called the King Kong. Eventually the competition took a deep turn and it began with monster trucks crushing cars. 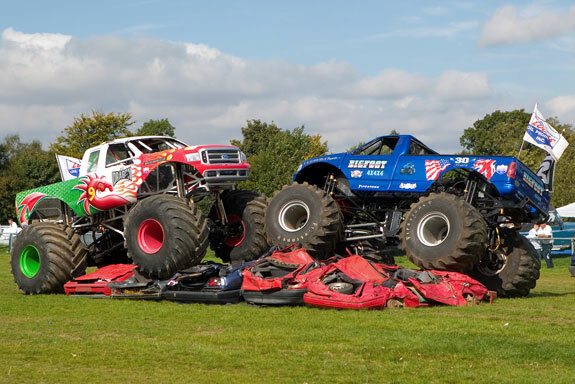 The first monster truck to ever crush cars was the Big foot which made it rise to fame instantly. Finally event promoters got into the game big time because they noticed that many people loved to watch such destruction and soon monster truck shows started making waves all over the United States. A company called “truck a rama” was mainly involved in the promotion of the game and also was responsible for coining the name “Monster truck”. The Big Foot stood at 48 inches tall and was the biggest truck at that point of time. The first performance with a wide public in an arena was conducted in the Pontiac Silver dome and had the highest audience so far. After the great success of this show several monster trucks followed suit like King Krunch, Big Bear, Virginia Giant and many more. Each state built its own truck and was eager to participate in the new game. With every season of the game the trucks got bigger in size with huge wheels supporting the truck on the top. By 1985 the game took a serious turn into regular performances as many popular event promoters were involved in it by then. What started like a mud and dirt game became more violent and monstrous every year. Also teams were formed to compete with each other and slowly every one had a good idea of what they needed to do to participate in it. As the technology improved the monster trucks were built with much more efficiency like incorporating the fiber glass bodies so that the truck can go faster and also lighter components for axle so that the trucks could gain maximum speed. The main idea of the game was to destruction and crushing cars and eventually the trucks were built for this purpose only and the phase continues until today. It was a game mainly for adult entertainment and knowing the nature event organizers and other companies like Disney realized that even the kids can enjoy such games if offered in a much milder format. 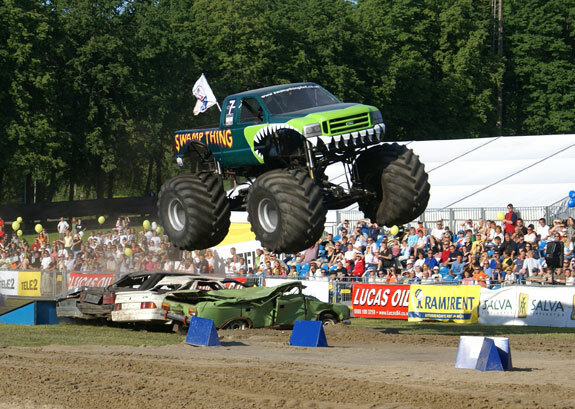 Soon there were monster truck shows on television for kids and adults and the game started gaining popularity through these shows almost rampantly.